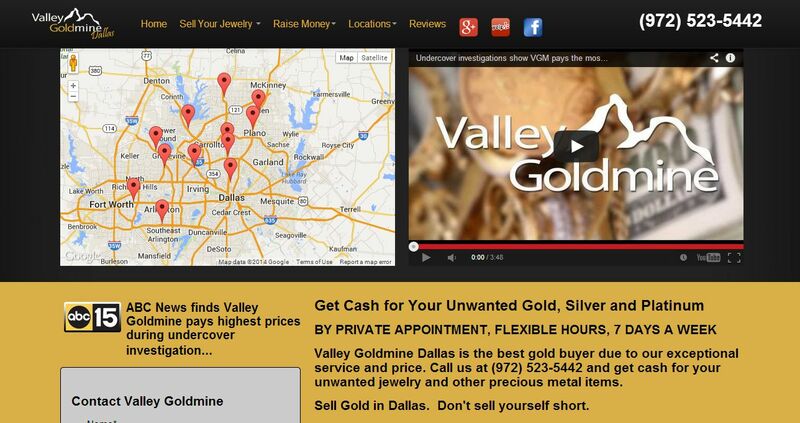 Valley Goldmine Dallas address, phone, website, and more. We are fully licensed precious metal buyers paying cash for your gold. Not only are we one of the top gold buyers in Dallas, we also specialize in buying jewelry, platinum and other precious metals. Because we are always purchasing large volumes of gold, we are always able to pay top prices to our clients who want to sell gold in Dallas.